Employee turnover is costly for any industry, and healthcare is no exception. Hiring new employees is a calculated risk, be they nurses, physicians, or other staff. Onboarding is expensive and utilizes many resources; thus, losing valuable staff can hobble even the most robust organization. Seamless, high-quality healthcare is key to successful outcomes, and staffing inconsistencies can be a powerful wrench in the system. Based on the importance of staff retention and the cost of attrition, stemming employee attrition and honoring the value of human capital should be top of mind for any healthcare administrator, executive, or manager. According to a 2017 study investigating the cost of nursing turnover, the cost can vary. One source cited a range of approximately $10,000 to $88,000 for a hospital nurse, while another suggested a range of $14,000 to $60,000. No matter the differences, the safe conclusion is that attrition is irrefutably expensive. A 2016 article in Today’s Hospitalist states that the hiring of one new physician (including advertising costs, interviews, and other factors) can cost upwards of $27,000. The article adds that the cost of onboarding a physician can amount to a staggering $200,000 to $300,000. These are significant numbers that impact the financial bottom line, not to mention the human bottom line of having enough skilled staff to produce the high-quality healthcare outcomes we seek. In the end, avoidable and unnecessary clinical employee attrition contributes to the hemorrhaging of financial resources that could be more prudently utilized elsewhere. Taking into consideration the astronomical costs of staff attrition, we can safely conclude that employee retention is a worthwhile investment. With team cohesion, patient care, and smooth facility operations at risk, there is no viable argument against making a significant investment in retention of highly skilled staff. Retention does not just cost money — it costs attention, planning, and time, and not every undertaking related to staff retention holds a direct financial cost. That said, all prudent and well-planned interventions go a long way towards retaining the valued staff who populate high-quality medical organizations. When it comes to retention strategies, let's dive into a few with proven track records of hitting the mark and having an appreciable impact. Employers should pay attention to employees’ career development. A healthcare-related career is not a static event; rather, it is a dynamic and evolving experience. Employees should be offered opportunities to learn new skills, develop their leadership potential, and otherwise advance their knowledge or expertise. Yes, some will move on to greener pastures, but this is no reason to not invest in professional development. A positive workplace culture can play a significant part in employee satisfaction and retention. When bullying, harassment, intimidation, and aberrant behavior are tolerated, cohesion and loyalty are compromised. Leadership must walk its talk, and the organization should pay more than lip service to staff appreciation. Nurses’ Week tote bags are not sufficient reward for loyalty and hard work — more should be done to provide meaningful recognition of valued employees. Understanding why employees leave your employ is crucial. This feedback is gold that can be mined in order to plan for the future and make appropriate organizational adjustments. Employee onboarding isn’t just about showing new staff where their locker is, how to get a cafeteria discount, and reading through a sleep-inducing policies and procedures manual. Onboarding needs to be robust, customized, and intentional in its motives, goals, and strategies. True mentoring programs set the stage for employee interaction that allows for the sharing of best practices and tutelage and guidance for new employees. In addition, mentoring geared towards keeping the leadership succession pipeline populated with talented people should be an intrinsic part of the process. Work spaces should be created with the hard-working employee in mind. Ergonomics must be taken into consideration. Additionally, a physical layout should lend itself to efficiency in order to decrease the frustration of running from place to place in order to find needed supplies during a busy shift. High nurse-patient ratios, mandatory overtime, overuse of travelers, regular double shifts, and other poor staffing practices can drive nurses away. 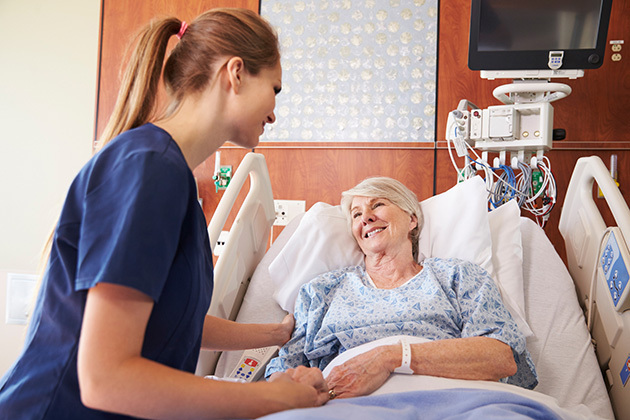 True staffing reform and viable ratios are two keys to retaining content nurse employees. Many further positive retention strategies are employed by a plethora of facilities and organizations. This list is simply a jumping off place for a process that should receive significant attention from any administrator, executive, or manager who cares about increasing retention, decreasing attrition, and nurturing long-term employee loyalty and professional development. In the healthcare milieu, we appropriately focus on caring for patients, and this is as it should be in an industry that caters to human beings seeking medical attention and supportive intervention. That said, human beings also provide that care, and keeping them satisfied, happy, cared for, and retained is central to overall success and positive outcomes for all concerned.